U.S. Rep. Lamar Smith, R-San Antonio, is retiring from Congress, two sources close to the congressman told The Texas Tribune on Thursday. 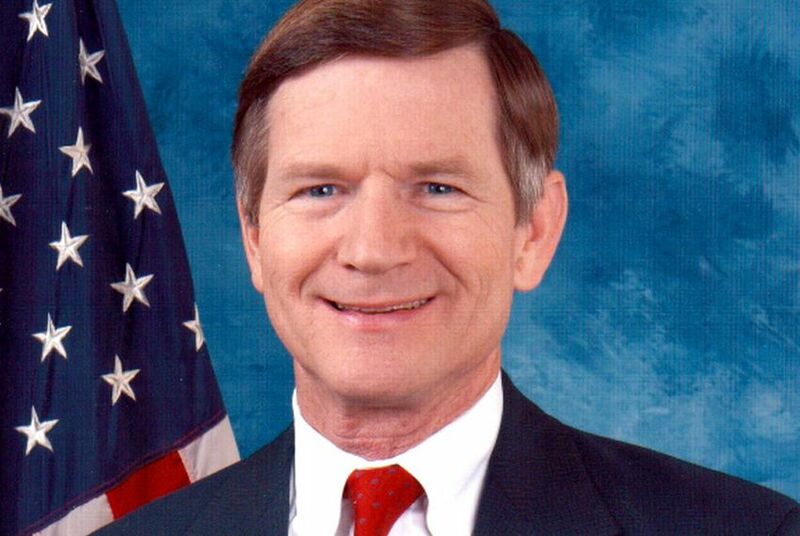 WASHINGTON — U.S. Rep. Lamar Smith, R-San Antonio, is retiring from Congress, two sources close to the congressman told The Texas Tribune on Thursday. Smith confirmed the decision in a conference call later in the day. "For several reasons, this seems like a good time to pass on the privilege of representing the 21st District to someone else," he wrote in an email obtained by the Tribune. "... With over a year remaining in my term, there is still much to do. There is legislation to enact, dozens of hearings to hold and hundreds of votes to cast." Like U.S. Rep. Jeb Hensarling, the House Financial Services chairman who announced his retirement on Tuesday, Smith faced a term limit in that role. "Quite frankly, there's nothing else I would rather be doing," Smith said of his time in Congress during a conference call with reporters Tuesday afternoon. But he attributed part of the decision to the chairman term limit issue, saying he felt "relieved." When asked if the toxic political environment contributed to his decision, he was emphatic. "No, it had no impact on my decision whatsoever," he said. The news was not entirely surprising. Smith's name has repeatedly surfaced as a member of Congress with the potential to retire. But there was one argument for why he should stay. Smith is a deft legislator and had positioned himself to possibly succeed another Texan, U.S. Rep. Michael McCaul, R-Austin, as chairman of the U.S. House Homeland Security Committee. Smith has served as a committee chairman two other times: on the Ethics Committee and the Judiciary Committee. Smith earned many detractors for his skepticism of manmade climate change. Even so, liberal Democrats privately described him as a pragmatic chairman and colleague who would listen to their arguments. The news is sure to please environmentalists who have bemoaned Smith's long record of climate skepticism. As chairman of the Committee on Science, Space and Technology, Smith repeatedly cast doubt on the overwhelming scientific consensus on climate change. In a 2015 op-ed in The Wall Street Journal, he described global temperature increases over the past 15 years as “negligible” and said links between climate change and worsening weather events had been debunked. During the latter half of that year, he sparred with the head of the National Oceanic and Atmospheric Administration over the methodology of a study that agency scientists published in the journal Science. The study found that a widely publicized “lull” in the rate of global warming, a cornerstone of conservative arguments against climate change-related policies, resulted from faulty statistical methods. The congressman also actively intervened on behalf of ExxonMobil amid high-profile investigations by Democratic state attorneys general into what the oil giant knew about climate change and when. He convened a congressional hearing on the matter and demanded documents from the attorneys general that would reveal the inner workings of their investigations. One of the most senior members of the Texas delegation, Smith has had a low-key style of leadership. For example, in 2014, U.S. Rep. Ralph Hall, a Rockwall Republican, faced a fierce primary threat from now-U.S. Rep. John Ratcliffe and had very little money to fend off the challenge. Smith realized before most that Hall was in trouble and rounded up campaign donations from the other Republicans in the Texas delegation. After his retirement announcement, speculation immediately began among Texas GOP insiders about who could succeed Smith in his seat. Names included state Reps. Jason Isaac and Lyle Larson, and Austin City Councilwoman Ellen Troxclair. State Sen. Donna Campbell's name was also put in play. A spokesman for Campbell said she "will carefully and prayerfully consider what is best for her and the district." Austin-based communications consultant Jenifer Sarver, a Republican, confirmed that she's "taking a serious look" at running for the seat. The question on many insider's minds is whether retiring state House Speaker Joe Straus would consider a run, but sources close to him said Thursday he is not interested. Smith's 21st Congressional District runs from South Austin along the west side of I-35 into San Antonio and extends westward into the Hill Country. The district was drawn to be a safe Republican seat, but there is a competitive Democratic primary this year with viable fundraising candidates. One of the Democratic challengers, veteran Joseph Kopser, raised more funds than Smith in the last quarter. Is this one of those races? It's too soon to tell, Democratic sources around the Capitol told the Tribune. This district would be incredibly difficult to dislodge, but perhaps not as hard as a lift as a conservative East Texas bastion such as Hensarling's seat. Democrats will prioritize dozens of other seats before they spend on this one, situated in the expensive Austin and San Antonio markets. The fact that it includes Alamo Heights, a wealthy area of San Antonio, has caught some Republicans' eyes. There is an expectation at this early moment that a self-funder might be postured to enter the race. News began to circulate among members voting on Thursday afternoon. U.S. Rep. Sheila Jackson-Lee, D-Houston, served on the same committees as Smith and shares the same alma mater, Yale University. She said she disagreed with him on many issues, including immigration, but they always kept up a friendly rapport. "I call him a Texas gentleman, and he is," she said. Claire Allbright and Kiah Collier contributed to this report. Disclosure: ExxonMobil, Jenifer Sarver and Joseph Kopser have been financial supporters of The Texas Tribune. A complete list of Tribune donors and sponsors is available here.